We are being over-run by chipmunks, and from talks with my neighbors around town, they are too. There has definitely been a population explosion and now I am trying to find ways to rid my yard of the little critters. I was shocked to learn that in some states (apparently Pennsylvania) they are protected and you cannot kill them. I haven't been able to find a comprehensive list of which states have protected the chipmunk, so you will have to check with your own State's Department of Environmental Protection. However, I do know that they are not protected in Connecticut so any of the chipmunk control methods outlined here will be Ok for use in CT.
At this point, I am past the "do nothing" phase, the little darlings have already destroyed two lambs ears plants, one hosta, five tomato seedlings and two eggplant seedlings, not to mention numerous sno pea plants before I even realized that they were up to. 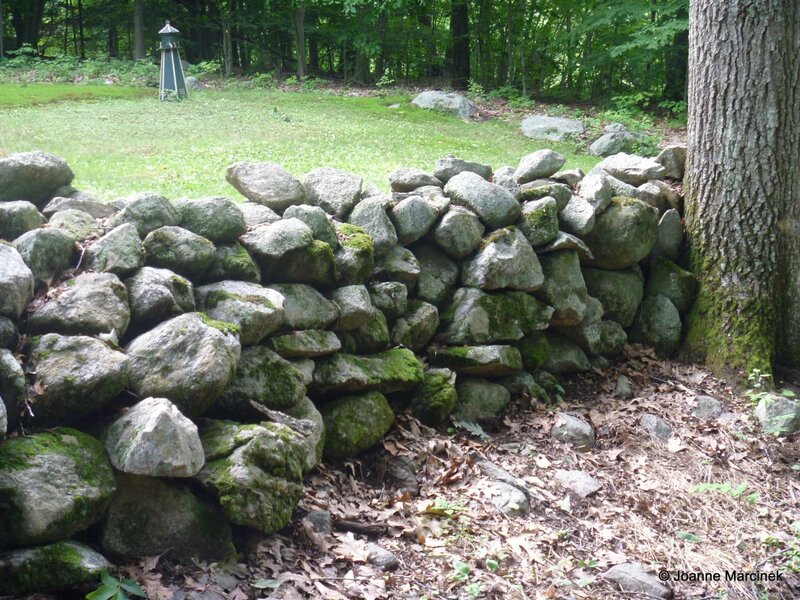 I will work on closing holes near my garden, however, living in rocky Connecticut means that rock walls are a permanent feature of our landscape and there's not much I plan to do about it. 1. Do nothing. 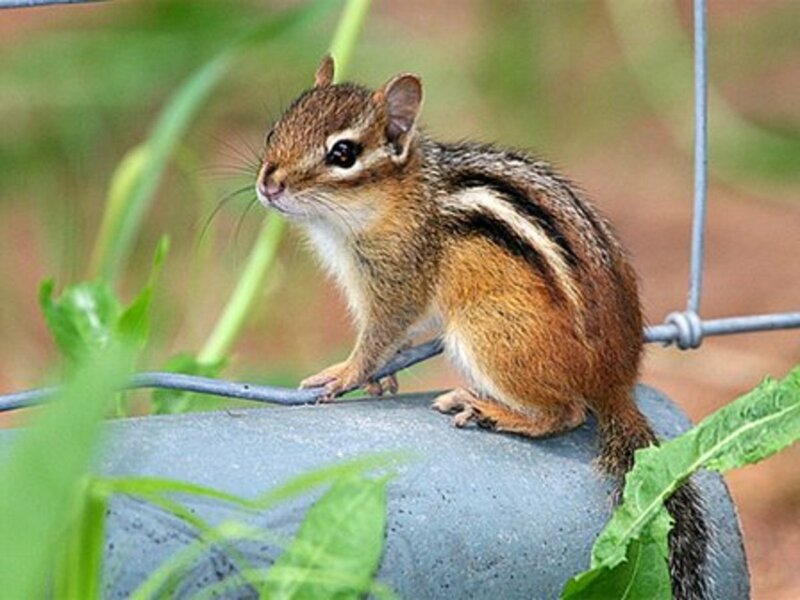 Chipmunks are part of the natural landscape and may be valued for their antics as well as their role in aerating soil, dispersing seeds and as a food source for other wildlife. 2. 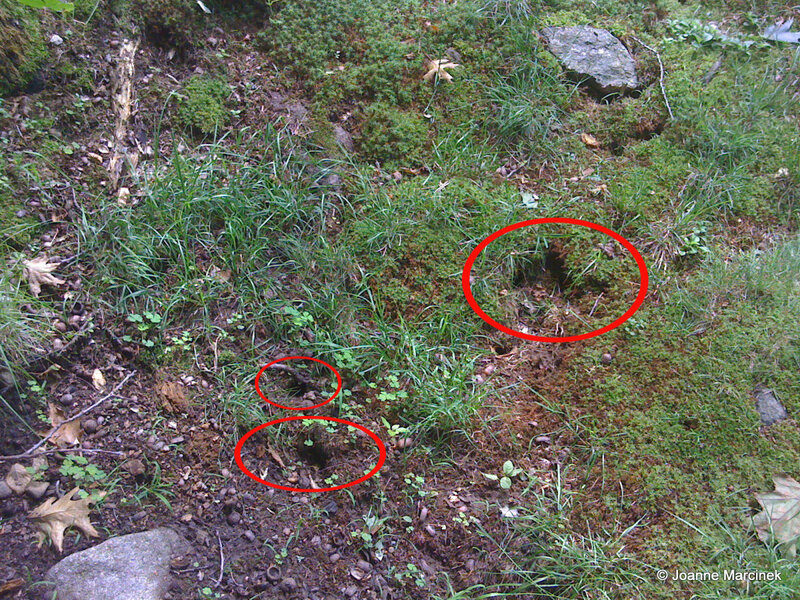 Close holes in foundation walls and other ground level openings if chipmunks are entering buildings. 3. Remove food sources such as pet food bowls or bird seed and reduce attractive habitat sites such as rock piles or fallen logs. 4. 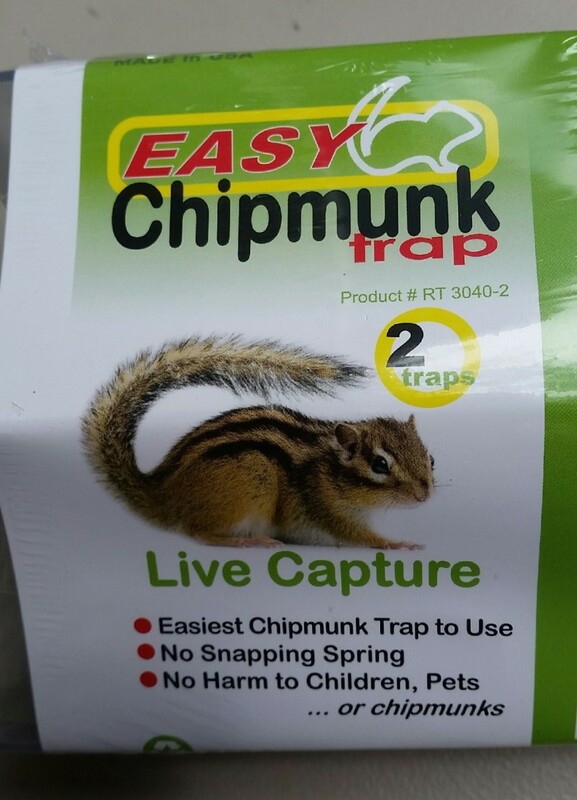 Live trap chipmunks if the population is overwhelming. Bait the trap with peanut butter, nuts, sunflower seeds or oats. The chipmunks need to be released at least a mile from the capture area. Released animals may not survive especially if captured at the end of the growing season when they are being moved away from their winter cache. This may be a temporary solution as other chipmunks will move into the area. 5. 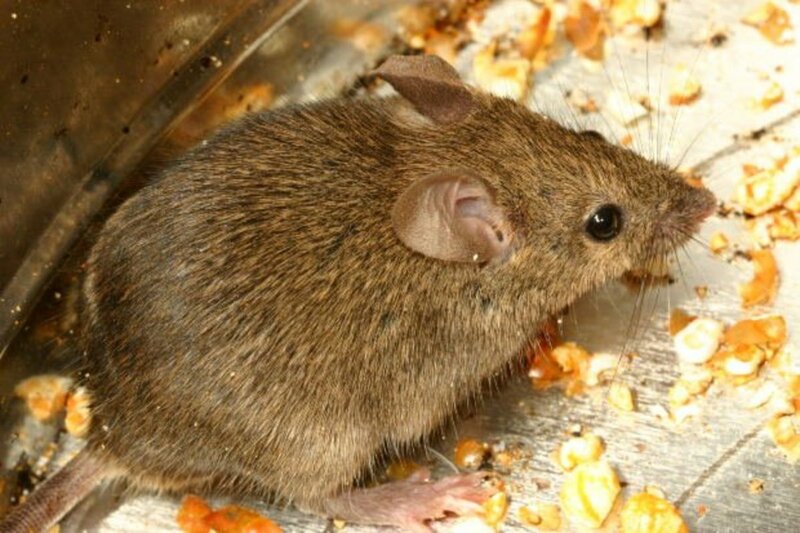 Use a rat trap with bait similar to the live trap. This method will kill the chipmunk and although chipmunks are protected, they may be controlled in this manner when they cause property damage. 6. 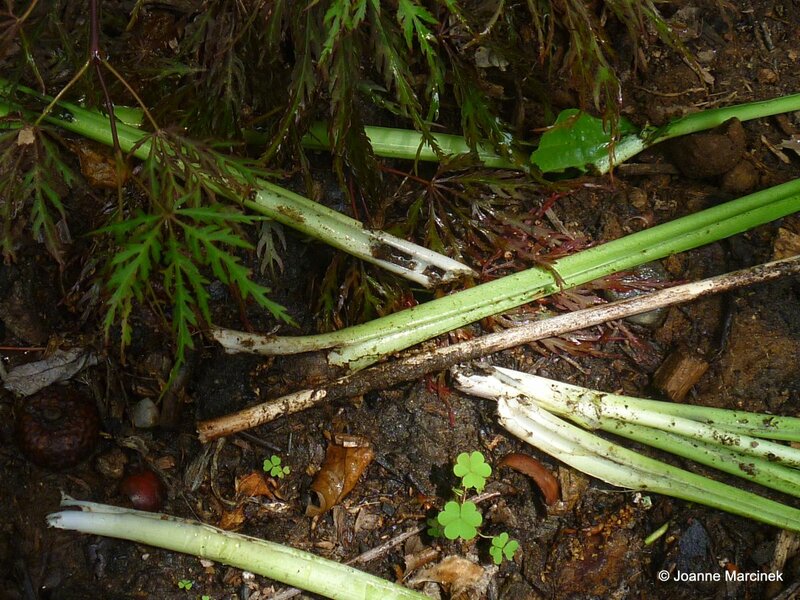 Poisoned baits are not recommended since chipmunks are a food source for other animals. Using a firearm to control chipmunks may be forbidden by local ordinances. I am using both methods on the chipmunk tunnels near my vegetable garden. One problem with using repellents is that they must be used repeatedly and after a while they may become less effective. Another repellent method is to use pepper spray or a spray with bitrex, thiram, or ammonium soaps (only on items NOT intended for human consumption, that is, not on your veggie plants!) I tried cayenne pepper on the crocus bulbs I planted last Fall, but it didn't seem to help, they were planted near the rock wall (chipmunk central) and didn't survive to sprout in Spring. I have also read that wrapping bulbs and shrubbery in a wire mesh can prevent chipmunk damage. I will wrap my bulbs this Fall to see if that helps. Another option would be to get a "barn cat" which are often cats rescued from being wild feral cats. 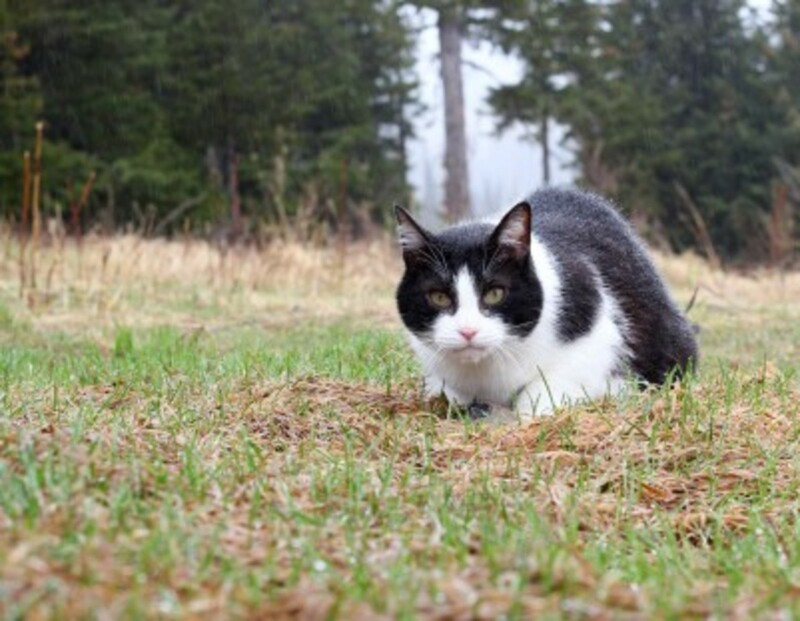 You don't have to have a barn to have a barn cat, a shed or other outdoor shelter is fine. These cats are semi-wild and need to have an outdoor home. The good news is, they are usually excellent hunters and can help curtail your chipmunk population. 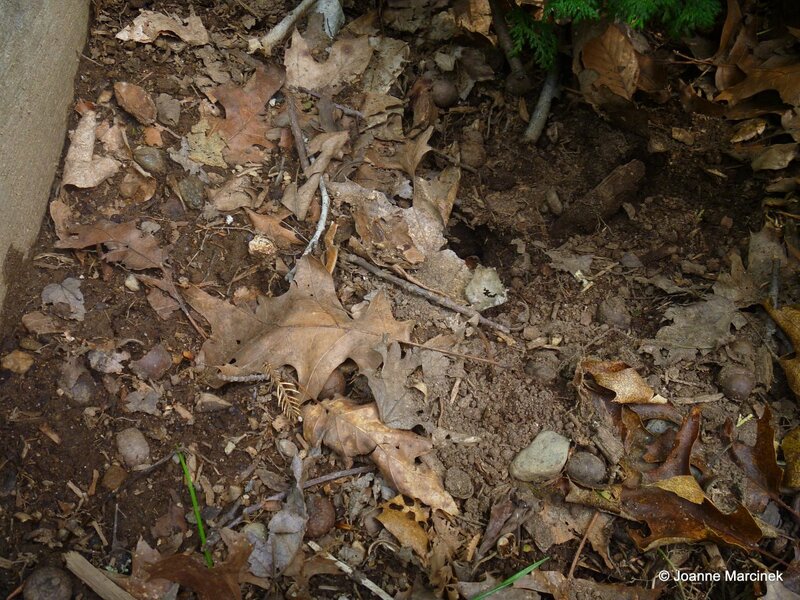 Since my "informal survey" of friends and neighbors indicates that for us, the chipmunk population explosion is very widespread, trapping chipmunks to try to bring them live to a new environment is not really an option. You can use rat traps baited with peanut butter - several websites recommended putting the peanut butter into a mesh bag tied into the trap to ensure the chipmunks get caught. Avoid the use of poison whenever possible. Another method of trapping is shown in the video below. My sister has had a lot of success with this "walk-the-plank" method. Shooting is a most effective control method if only a few chipmunks or ground squirrels are involved. Small gauge shotguns or air-operated pellet rifles are the most desirable weapons. Early morning or late afternoon are the best hunting periods. Check with local police officials for shooting regulations. Where shooting is legal, use a smallgauge shotgun or a .22-caliber rifle with bird shot or C.B. cap loads. 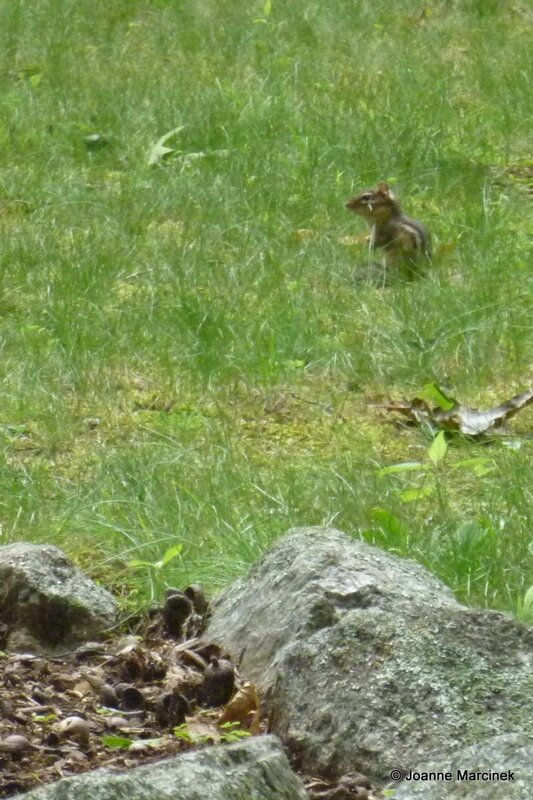 Chipmunks are nervous and alert, so they make difficult targets. The best time to attempt shooting is on bright sunny days during the early morning. A 5 gallon bucket one third full of water sprinkle sunflower seeds on top of the water so it covers the surface. Provide a small board as a ramp to get to the top of the bucket and a few seeds to lure them up. I've killed 24 chipmunks by letting them drown themselves they jump in and they cannot get out bye-bye Chipmunks. My chipmunks love decimating my strawberry patch. I have 4 hubs about the pesky critters. Don't use moth balls (ineffective and children might pick them up and eat them). Don't use rat poison (they just store it with their other food and eat it too gradually for it to be effective). We have a German Wirehaired Pointer who hates these little critters and will lay by their holes in the ground (a very patient dog) until one makes the mistake of sticking his head out. 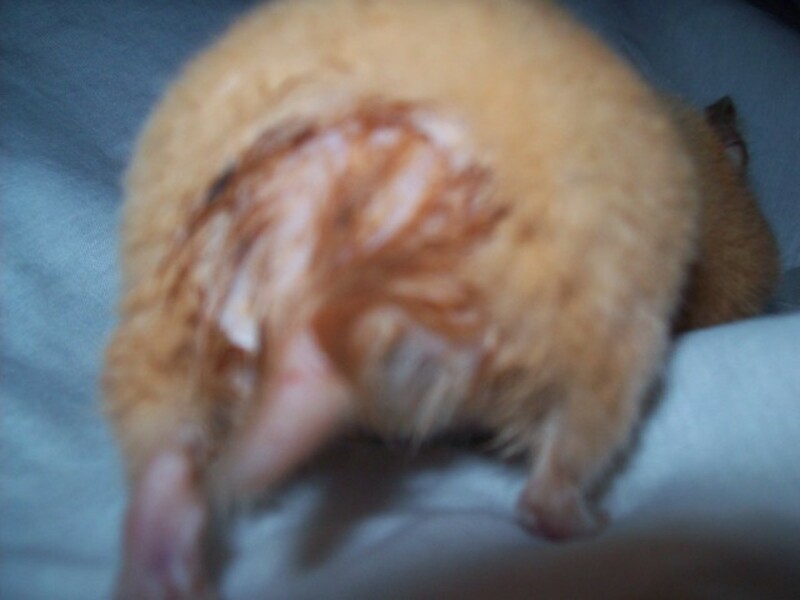 Bye bye little critter. Tree huggers are for the birds. All of these rodents destroy property. Period. They have Doug a hole under my foundation of garage and piled the gravel. My foundation has cracked due to this. I hade to repair my foundation and in the process found a 1ft x 2ft area which they dug up under my garage foundation.. It cost money to repair this. I will shoot the damn things or trap them. You tree huggers must not or you like spending money on this type of stuff I don't, I work hard for my money... Get a life. Google Caster Bean plants or Mole Plants as this might be helpful . I tried not shooting them for over two years, now they are everywhere. My dog obsesses over them and in the process scratches up the deck when she goes tearing after them, chews on the gutter downspouts and digs around the air-conditioner to get at them. They've also began chewing on the garage door. I'm over it, shot one this morning with a Benjamin .22 air rifle (1100fps). I feel mildly bad as I tried to avoid this option and I'm not dealing with poisons or re-locating rodents just to be PC. The squirrels get to stay as well as the deer that eat our plants. I USED to think chimpmunks were so cute, but I HATE them now. I have spent thousands of dollars on a magnificant flower garden that I designed myself. From one bush, I lost over 300 rose blooms in ONE DAY because of the burrowing of those pests at the root system. I AM a tree hugger...proud of it...but I would love to choke some of the pests. Think of chimpmunks as terrorists for the lawn!!! I bought the Chip'munk'inator. It was only $50 and well worth the money. I just put some seeds in the center of the trap and they went right in there. I have caught 5 at one time! I suggest you all try it as well. It is way easier than this bucket method. Less time consuming too. 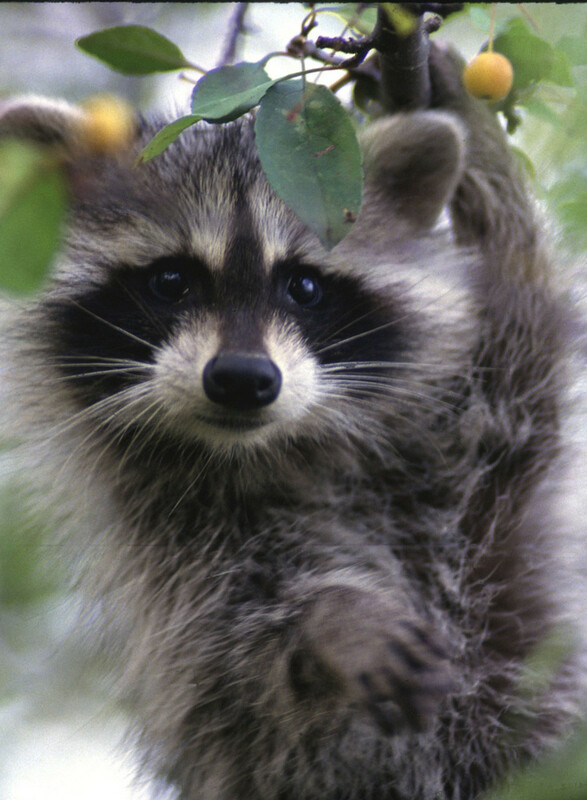 While these animals appear to be harmless they can and will destroy your foundation and supporting ground around it. Each female will have two litters per year, so if not checked they will be a whole team of tunnelers under your house, your cement porches, your brick. Tree huggers piss me off, you would rather have your home amd yard destroyed because of a small vermin like a chipmunk???? I suppose you are a vegetarian too? Drowning works the best if you can't shoot them in the area you live. Chipmunks rule! Leave them alone. You should only get rid of the chipmunks in a humane way. There is no need to kill them with traps or shooting them or any other way. I am totally disgusted that you even mentioned it. The problem is there are too many people in the world and they are taking over the animals habitat. Let the chipmunks live in peace, people should live in harmony with nature. Tractor Supply Company has a spray that is "Small Animal Repellent" that last a few months, it worked for me. There were actually a couple of options it seems like. My dad now uses a pellet gun that shoots as fast as an average .22 - and anything he has shot at has expired. It is a .22 caliber pellet gun I think.